Does India have exchange control restrictions? Yes, Foreign Exchange Management Act ('FEMA') governs inbound as well as out-bound investments. Indian Rupee is partly convertible in current account meaning thereby it is convertible on "current" account and non-convertible on "capital" account. In one sense, rupee is almost fully convertible. Rupee rates in the Foreign Exchange market are market determined and not Reserve Bank of India ('RBI') prescribed. Most of the transactions for inward foreign investment are liberalized. For outward investments, upto US $ 15 million, automatic permission is available. Larger outward investments are also permissible if one can satisfy RBI about the project. A few areas are left because of which one has to use the word "almost" fully convertible. Speculation in Foreign Exchange is not free. There are still some procedural issues which can be simplified. There are still some "business decisions" which RBI monitors. Like valuation of shares in case of sale by collaborators. Still, all Foreign Exchange dealing in India can be done only by "authorized persons" only. Are there any locational restrictions in setting up units in India? Undertakings are free to select the location of a project. In cases of cities with population of more than one million, the proposed location should be atleast 25 km away from the Standard Urban area limits of that city unless it is to be located in an area designated as 'industrial area'. Electronics, computer software and printing are exempt from such location restrictions.The location of industrial units is further regulated by the local zoning and land use regulations as also the environmental regulation. What is India's policy on Foreign Direct Investment ('FDI')? Indian regulations allow investment in all industries expect those in the negative list. Additionally, there are sectoral caps for investing in certain industries. FDI is not permitted beyond these caps. FDI can be brought into India through the Automatic Route under the Reserve Bank of India and for certain activities through government approval. A foreign enterprise can plan the following modes for doing business in India. What is India's policy on investment by Non-Resident Indians ('NRI') and Overseas Corporate Bodies ('OCB')? Investments by NRIs and OCBs in which the NRIs hold at least 60 percent equity are treated as Foreign Direct Investment ('FDI'). For all sectors excluding those falling under government approval, NRIs and OCBs are allowed to bring investment through the automatic route under the Reserve Bank of India ('RBI'). Other proposals require approval from the government through a special cell called Foreign Investment Promotion Board ('FIPB'). What is the policy on transfer of technology to Indian companies? India encourages foreign technology agreements in all industries. The Reserve Bank of India (the apex exchange control authority in India) grants automatic approval to foreign companies for transfer of technology subject to the following limits:Lumpsum technology fee upto USD 2 million; Royalty payments upto 5 percent on domestic sales and 8 percent on export sales subject to an overall ceiling of 8 percent of total sales. In case of consideration higher than the above limits, the Indian government approves such agreements on a case by case basis. What is the rate of corporate taxation? Are there any other taxes on profits? The current (Fiscal Year 2004-2005) rate of corporate tax is 35 percent for domestic companies and 40 percent for foreign companies. In addition, a surcharge of 2.5 percent and further Education cess of 2 percent is applicable on the basic tax rate. India has entered into Double Tax Avoidance Agreements with various countries which provide favorable tax positions.In addition, Corporate are required to pay tax @ 12.5 percent at the time of distribution of dividends to their shareholders plus surcharge of 2.5% and Education Cess of 2% percent, which makes it the effective rate of 13.06 per cent approximately. What are the other taxes apart from corporate taxes? Some of the main taxes apart from corporate taxes are as follows:Customs/Import duty is levied on imported products. This tax is a tariff type tax payable at the time of entry of products into India. The current peak customs tariff is 25 percent. Excise duty is levied on manufacture of goods within India. This is also a tariff type tax and is payable on an ad valorem (i.e. a fixed percentage of the cost of production) basis. Sales tax is levied on the sale of a product that is produced or imported and sold for the first time. Either the central or the state government levies sales tax. Gst is levied on specified services and is like excise duty except that excise duty is levied only on goods/products. What is the overall policy of India towards infrastructure? India realizes that development of infrastructure is crucial to India's growth strategy. To this end India has sectoral policies to attract private/foreign investment in areas like power, telecommunications, road and highways, ports, oil and gas, etc.Investing companies in infrastructure/ service sector: In respect of the companies in infrastructure/service sector, where there is a prescribed cap for foreign investment, only the direct investment will be considered for the prescribed cap and foreign investment in an investing company will not be set off against this cap provided the foreign direct investment in such investing company does not exceed 49% and the management of the investing company is with the Indian owners. The automatic route is not available. What are Small Scale Undertakings? Are there any restrictions on investing in these undertakings? An industrial undertaking is defined as a small scale unit where the investment in fixed assets (classified as in plant and machinery) does not exceed Rs. 10 million. Such units can manufacture any item including those notified as exclusively reserved for manufacture by the small scale sector. Foreign equity in such units is restricted to 24 percent of total equity. However,one can invest upto 100 percent in case the entire production is to be exported from India. Is there a requirement to seek Environmental Clearances? Yes, statutory clearance relating to pollution control and environment for setting up an industrial project is required under the Environment Protection Act. Industries like petro-chemical complexes, petroleum refineries, cement, power plants, bulk drugs, fertilizers, dyer, paper, etc require such clearance. What is the Foreign Direct Investment policy on Venture Capital Fund ('VCF') and Venture Capital Company ('VCC')? Offshore Venture Capital Funds/Companies are allowed to invest in domestic venture capital undertaking as well as other companies through the automatic route, subject only to SEBI regulations and sector specific caps on FDI. What is the Foreign Direct Investment ('FDI') policy on Trading? What is the typical distribution channels in the Indian market? The conventional distribution channel employed in India is a pyramidal structure involving movement of goods from carrying and forwarding (C&F) agents to wholesalers and distributors down to retailers. About 12 million retail outlets give India the largest retail outlet density in the world. The new supply chain systems include cutting down on intermediaries as in direct marketing or network marketing. What is the size and potential of the rural markets in India? The rural consumer class is growing at 3-4 per cent per annum and adding about 1.2 million new customers every year. Spread over 630,000 villages, India's rural population generates one third of the national income. Apart from growth in demand for agricultural inputs, rising rural disposable incomes have also spurred the demand for fast moving consumer goods and consumer durables. What has been the "structural shift" in the Indian economy? Manufacturing is no longer the dominant sector of the GDP. Also, the share of agriculture has gone down from a high of 70 per cent in the sixties to just about 27 per cent today. The value added services sector has emerged as the growth engine of the economy. What is the scope for the retailing industry in India? The present size of the retail industry in India is around USD 180 billion. This is expected to touch USD 450-500 billion by 2010. Within the retail sector, grocery constitutes the biggest component with about 50 per cent share. Apparel is another high growth area in the retail sector. Under which authority Gst is levied? Vide Entry 97 of Schedule VII of the Constitution of India, the Central Government levies Gst through Chapter V of the Finance Act, 1994. The taxable services are defined in section 65 of the Finance Act, 1994. Section 66 is the charging section of the said Act. The list of the services is available at home page of this web site www.servicetaxinda.co.in . The Accounting Heads are also mentioned in the list, which need to be mentioned on the tax payment documents (GAR-7 or TR-6), while depositing the Gst and other related dues in the banks. How to decide whether Gst is payable by a person? i. 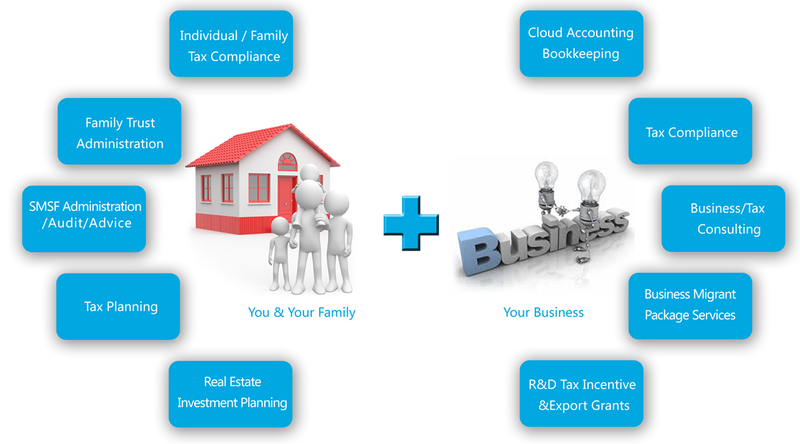 Whether the service rendered by you is falling under the scope of any of the taxable services . ii. Whether there is a general or specific exemption available for the category of service provided under any notification. Whether the service received by you is falling under the scope of any of the services where the recipient of the service is liable to pay Gst in terms of Section 68(2) of the Act read with Rule 2(d) of the Gst Rules, 1994. In case the service received by recipients of such service is falling under the scope of any of the taxable services defined under section 65 of the Finance Act, 1994, the recipients of the service shall pay Gst having regard to the exemptions/abatements admissible, if any. At present, the rate of Gst is 12%, payable on the “gross value of taxable service”. In addition to this, Education Cess is payable at the rate of 3% on the Gst amount. (Total: 12.36% on the value of the taxable service). – Refer section 66 of the Finance Act, 1994 (12% Gst), Section 85 of the Finance Act, 2004 (2% Education Cess) and Section 126 of the Finance Act, 2007(1% Secondary and Higher Education Cess). The rate of tax may change during Annual Budget by a Finance Act. What is meant by "value of taxable service"? i. Normally, the “value of taxable service” means, the gross amount received by the service provider for the taxable service provided or to be provided by him. Section 67 of the Finance Act, 1994 read with Gst (Determination of Value) Rules, 2006, has to be followed to arrive at the taxable value. ii. For certain services, a specified percentage of abatement is allowed from the gross amount collected for rendering the services, subject to the conditions, inter alia, that CENVAT Credit has not been availed by the service provider and cost of goods sold in the process of providing the subject service is not deducted in terms of Notification No. 12/2003-ST, dated 20.6.2003.
iii. There is also a composition scheme for ‘works contract service’, where the person liable to pay Gst in relation to works contract service shall have the option to discharge his Gst liability on the works contract service provided or to be provided, instead of paying Gst at the rate specified in section 66 of the Act, by paying an amount equivalent to 4% of the gross amount charged for the works contract..
the Gst is to be paid by the Insurance Company for the services in relation to Insurance Auxiliary Service by an Insurance Agent. distribution of Mutual Fund. In this regard, Gst is to be paid by the Mutual Fund or the Asset Management Company receiving such service. Refer: Sec. 68(2) of the Act read with Rule 2(d) of the Gst Rules, 1994. Is there any exemption from payment of Gst to Diplomatic Missions for official use and individuals and their family members posted in a Diplomatic Mission? Yes, exemption from payment of Gst relating to all taxable services is available to Diplomatic Missions for official use of services as well as for the personal use or for the use of the family members of diplomatic agents or career consular officers posted in a foreign diplomatic mission or consular post in India, by notifications 33/2007- ST dated 23rd May, 2007 and 34/2007-ST dated 23rd May, 2007 respectively, but subject to procedures specified under those notifications. If yes, what procedure is required to be followed for exemption from payment of Gst to Diplomatic Missions for official use of services? iii. the head of such foreign diplomatic mission or consular post or such authorized person shall maintain an account of such undertakings issued during a financial year and such account shall contain:— (a) the serial number and date of issue of such undertakings; (b) the name and the registration number of the provider of taxable service; and (c) the description of taxable service and invoice number. v. The provider of taxable service shall retain the documents referred to in point number (i) above along with a duplicate copy of invoice issued, for the purposes of verification. What is meant by registration? Who should apply for registration under Gst law? Every person providing a taxable service of value exceeding Rs. 9 lakhs, is required to register with the central excise or Gst office having jurisdiction over the office of such service provider. In case a recipient is liable to pay Gst, registration is required by him. The ‘Input Service Distributors’ also require registering themselves. Registration is identification of an assessee. Identification is necessary to deposit Gst, file returns and undertake various processes ordained by law relating to Gst. What is the meaning of an 'assessee' in relation to Gst? 'Assessee' means a person liable to pay Gst and includes his agent. When can a prospective assessee obtain registration? When a person commences business of providing an existing taxable service, he is required to register himself within 30 days of such commencement. In case a new taxable service is introduced, an existing service provider must register himself, unless he is eligible for exemption under any notification, within a period of 30 days from the date of new levy. What does the word “person” appearing in the definition of taxable service mean? The word "Person" shall include any company or association or body of individuals, whether incorporated or not. Thus this expression includes any individual, HUF, proprietary firm or partnership firm, company, trust, institution, society etc. What is the procedure for Registration? Who should be approached for Gst Registration? An application in Form ST-1 (in duplicate) has to be filed before the jurisdictional Central Excise/Gst officer. Certain documents to verify the correctness of declaration in the said form as may be required by the registering authority, such as copy of PAN card, proof of address of business premise(s), constitution of the business [proprietorship, firm, company, trust, institute etc.] etc. The copies may be self-certified by the applicant. In case of doubts in select cases, original documents may have to be presented for across the counter verification and return. Service providers having centralised accounting or centralised billing system, at their option, can have Centralised registration at one or more places. Commissioner of Central Excise/Gst in whose jurisdiction centralized account or billing office of the assessees exists, is empowered to grant centralized registration. Does one require registration certificates for each service separately? What is to be done when the existing assessee commences providing of a service not mentioned in the registration certificate? An application has to be made in ST-1 for amendment (endorsement) in the Registration certificate indicating only the amendment/rectification required to be made in the registration certificate, along with a copy of the original registration certificate. No fresh documents are required for verification by the officer unless there is change in the details given in original or earlier application(s). Is PAN allotted by the Income Tax Department a must for obtaining Gst Registration? Having PAN is essential because the Gst Registration number is generated based on the PAN issued by the Income Tax Department. However, in the absence of PAN, a temporary Gst registration number would be issued for assessees who are not having PAN at the time of filing the application (ST-1) for Gst registration till such time they obtain PAN. Once the PAN is obtained, the Gst assessee should obtain the PAN – based Gst Registration number. Cessation of business of providing taxable service -what is to be done with the Gst Registration? The Gst Registration certificate (ST-2) should be surrendered to the concerned Central Excise/Gst authorities. A taxpayer transfers his business to another person – what is to be done with the Registration? In the event of transfer of the business, the transferee should obtain a fresh certificate of Gst registration. The transferee will have his own PAN. Whether a service provider can make payment of Gst and file returns before the grant of registration by the proper officer? No. However, service provider should apply well in advance to obtain registration, which is normally granted within 7 days of filing of application. Since Gst is payable once in a month or quarter, an assessee gets sufficient time for registration. A person, who fails to take registration within the time stipulated shall be liable to pay penalty which may extend to Rs. 5,000/- or Rs. 200/- per day after the due date, which ever is higher. The provisions says, a person fails to “take” registration, whereas it should have been fail to "apply" registration, as some time the Department take it own time to grant the registration as recognized by the Board in its instruction Dy. No.294/Com(ST)/2007 dated 03.09.2007. If a registration certificate issued by the Department is lost, can duplicate be issued? What is the procedure in this regard? The assessee is required to make written request for ‘duplicate’ registration certificate. The same will be issued by the Department after suitable entry in the registers/ records of the Office. When is Gst required to be paid? For individual or a proprietary or partnership firm. —Quarterly -by the 5th day of the month following each quarter and by the 6th day of the month following each quarter if the duty is deposited electronically through internet banking. For example, Gst for the quarter ending 30th of June is to be paid by 5th or 6th of July as the case may be. If full details are not available to assess correct Gst, how can service be paid by due date? What is the interest rate applicable on delayed payment of Gst? Every person, liable to pay the Gst in accordance with the provisions of section 68 or rules made thereunder, who fails to credit the tax or any part thereof to the account of the Central Government within the period prescribed, shall pay simple interest @13% per annum. Interest is payable for the period from the first day after the due date till the date of payment of any defaulted Gst amount. Refer to Section 75 of the Finance Act, 1994. Can excess payment be adjusted while paying tax for the next month or quarter? Yes. Where an assessee has paid to the credit of the Government in respect of a taxable service, which is not so provided by him, either wholly or partially for any reason, the assessee may adjust the excess Gst so paid by him (calculated on a pro-rata basis) against his Gst liability for the subsequent period, if the assessee has refunded the value of taxable service and the Gst thereon to the person from whom it was received (Rule 6(3) of the STR, 1994). Further, assesses having centralised registration who paid excess amount of Gst, on account of non-receipt of details regarding the receipt of gross amount for the services at his other premises or offices, may adjust such excess amount against the Gst liability for the subsequent period and furnish the details of such adjustment to the Jurisdictional Superintendent of Central Excise/Gst within 15 days from the date of such adjustment (Rule 6(4A) of the STR, 1994). In all other cases of excess payment, refund claims have to be filed with the Department. The refund claims would be dealt as per the provisions of Section 11B of the Central Excise Act, 1944, which is made applicable to Gst under Section 83 of the Finance Act 1994. It is important to note that any amount of Gst paid in excess of the actual liability, is refundable, only if it is proved that the claimant of refund had already refunded such amount to the person from whom it was received or had not collected at all (Section 11 B of the Central Excise Act, 1944 which is applicable to Gst matters under Section 83 of the Act). What is the head of account into which the Gst amount is to be paid in respect of various services? GAR-7 is the document for payment of Gst. Can the Gst be deposited in Non-designated banks? Whether the payment of Gst is to be made for the billed amount or for the value received? The Gst for a particular period is payable on the amount/value of taxable service received during that period and not on the gross amount billed to the client. If the charges for the taxable service have been received in advance prior to rendering of the services, the Gst is payable even if the services are yet to be provided by them (Section 67 and Rule 6(1) of the STR, 1994). Can Gst be paid by cheque? Yes, you can pay Gst be paid by cheque. The date of deposit of cheque is the date of payment of Gst. If the cheque is dishonoured, it would mean as if the Gst has not been paid and the relevant penal consequences would follow. (Rule 6(2) of the STR, 1994). When payment is made by a client to an assessee after deducting his Income Tax liability under the Tax deduction at source (TDS) provision, whether the Gst liability of the assessee is only towards the amount actually received from that client or tax is to be paid on the amount including the Income Tax deducted at source also? Gst is to be paid on the gross value of taxable service which is charged by a Gst assessee for providing a taxable service. Income tax deducted at source is includible in the charged amount. Therefore, Gst is payable on the gross amount including the amount of Income Tax deducted at source also. What are the penal consequences if the Gst is not paid or paid late? A mandatory penalty, not less than Rs. 200 per day or @2% of such tax per month, whichever is higher, shall be imposed by the adjudicating authority. However, the penalty amount payable shall not exceed the amount of Gst payable. – (Refer to section 76 of the Finance Act, 1994). Whether Gst is payable after providing the service or after the receipt of the service charges? Gst is payable on the amount received towards provision of a taxable service including any amount received in advance. What are the Returns a Gst assessee has to file? ST-3A Return – The assessee who is making provisional assessment under rule 6(4) of the Gst Rules, 1994. ST-3 Return is required to be filed twice in a financial year – half yearly. Return for half year ending 30th September and 31st March are required to be filed by 25th October and 25th April, respectively. ST-3 Return is required to be filed twice in a financial year – half yearly. Return for half year ending 30th September and 31st March are required to be filed by 25th October and 25th April, respectively.ST-3 Return is required to be filed twice in a financial year – half yearly. Return for half year ending 30th September and 31st March are required to be filed by 25th October and 25th April, respectively. Filing of return is compulsory, even if it may be a nil return, within the prescribed time limit, failing which penal action is attracted. A single return is sufficient because the ST-3 Return is designed to capture details of each service. If a person fails to furnish the ST-3 Return within the due date [25th October and 25th April every year] he shall be liable to penalty which may extend to an amount not exceeding Rs 2000/- depending upon Period of Delay. Is there any statutory documents prescribed by the Government such as specified invoice proforma, specified registers etc. for use by the service providers? There are no specific records which have to be maintained by a Gst assessee. The records including computerized data, if any, which are being maintained by an assessee on his own or as required under any other law in force, such as Income Tax, Sales Tax etc. are acceptable for the purpose of Gst – (Rule 5(1) of the STR, 1994). However, it is important to note that a list of all such accounts maintained by an assessee including the memorandum received from the branch offices shall be furnished to the Superintendent of Central Excise at the time of filing the Return (ST-3) for the first time (Rule 5(2) of the STR, 1994). Whether issue of Invoice/Bill/Challan is mandatory? When should the same be issued? Issue of Invoice/Bill/Challan by a Gst assessee is mandatory as per Rule 4A of the STR, 1994. The same should be issued within 14 days from the date of completion of taxable service or receipt of payment towards the service, whichever is earlier. However, if the service is provided continuously for successive periods of time and the value of such taxable service is determined or payable periodically, the Invoice/Bill/ Challan shall be issued within 14 days from the last day of the said period (Proviso to Rule 4A (1) of the STR 1994). Is there any prescribed format for the Invoice/Bill? Name, address and registration no. of the service provider. Name and address of the service receiver. Description, classification and value of taxable service being rendered. Is the amount of Gst charged from the client compulsorily to be indicated separately in the Bills/Invoices/Challans raised on him? Yes. It is mandatory to separately indicate the amount of Gst charged in the Bills/Invoices/Challans raised on the clients. as per Section 12A of the Central Excise Act, 1944 which is made applicable to Gst, under Sec.83 of the Finance Act, 1994. Such mention of the Gst amount in the Invoice/Bill/Challans, would also facilitate the service receiver to avail the CENVAT credit of the Gst paid on the input services. What is the preservation period for Gst records and documents? All records and documents concerning any taxable service, CENVAT, transactions etc. must be preserved for a minimum period of 5 preceding financial years. Application in the prescribed form (Form – R) is to be filed in triplicate with the jurisdictional Asst./Deputy Commissioner of Central Excise/Gst. The application should be filed within one year from the relevant date as prescribed in Section 11B of the Central Excise Act, 1944 which has been made applicable to Gst refund matters also. Application should be accompanied by documentary evidence to the effect that the amount claimed as refund is the amount actually paid by him in excess of the Gst due and the incidence of such tax claimed as refund has not been passed on to any other person. What are the exemptions available for small service providers? This exemption was introduced with effect from 01.04.2005. (Notification No. 6/2005-ST, dated 01.03.2005). What are the conditions for availment of the exemption from Gst by the small scale service providers? If the aggregate value of taxable services rendered by the service provider from one or more premises exceeds rupees eight lakhs in the preceding financial year, the service provider is not eligible for the exemption for the current year. The exemption shall apply to the aggregate value of all taxable services and from all premises and not separately for each premise or each service. The benefit of the exemption shall not apply to taxable services rendered by a person under a brand name or trade name whether registered or not, of another person. The exemption shall not apply to persons who are other than the service providers, but liable to pay Gst under section 68 (2) of the Act. The provider of the taxable service shall avail the CENVAT credit only on such inputs or input services received, on or after the date on which the service provider starts paying Gst, and used for the provision of taxable services for which Gst is payable. CENVAT Credit of Gst paid on any input services, under Rule (3) or Rule (13) of the CENVAT Credit Rules 2004, used for providing the services under the above exemption, is not admissible for persons availing the above exemption. CENVAT Credit under Rule (3) of the said Rules, is not admissible on the capital goods which are received in the premises of the service provider during the exemption period. An amount equivalent to the CENVAT Credit taken, if any, in respect of the inputs lying in stock or in process as on the date on which the provider of taxable service starts availing the exemption should be paid; the balance credit amount, if any, shall lapse. Are there any other General exemptions? Services provided to the United Nations or International Organisations (Notification No. 16/2002-ST, dated 02.08.2002). Services provided to a developer of Special Economic Zone or a unit of Special Economic Zone (Notification No.04/2004-ST, dated 31.03.2004). where such credit has been taken by the service provider on such goods and materials, but such service provider has paid the amount equal to such credit availed before the sale of such good and materials. (Notifn.12/2003-ST dated 20.06.2003). Exemptions to Diplomatic Missions for official use of taxable services and also to the officers and their families of a Diplomatic Mission for personal use of taxable services-Refer Notification Nos. 33/2007-ST and 34/2007-ST, both dated 23.5.2007-See Question No. 1.13, 1.14 and 1.15, ante. Specified taxable services, namely, port service, other port service, goods transport service and containerised transport service, received by an exporter and used for export of goods (Notification No. 40/2007-ST dated 17.9.2007). Under this notifcation, the Gst paid by an exporter on these services is refunded to the exporter on complinace of conditions mentioned in the notification. Is there any exemption from payment of Gst if the receiver/provider of the service is the Central/State Government organization and Public Sector Undertakings? No. There is no such exemption. All service providers, including the Central/State Government Organisations and the Public sector undertakings rendering the specified taxable service, are liable to pay Gst. If a Government Department (sovereign)/public authorities performs any mandatory or statutory function under the provisions of any law and collect any fees, such activity shall be treated as activity purely in public interest and will not be taxable. If such authority performs a service, which is not in the nature of statutory activity, for a consideration, the same shall be taxable. However, the taxable services provided by a Banking company or a financial institution including a non banking financial company, or any other body corporate or any other person, to the Government of India or the Government of a State, in relation to collection of any duties or taxes levied by the Government of India or the Government of a State, are exempted from the payment of Gst. (Notification No. 13/2004-ST, dated 10.09.2004). What are the penal provisions for various contraventions of the Gst Law? A person, who fails to take registration within the time stipulated shall be liable to pay penalty which may extend to Rs. 5,000/- or Rs. 200/- per day after the due date, which ever is higher. The provisions says, a person fails to “take” registration, whereas it should have been fail to “apply” registration, as some time the Department take it own time to grant the registration as recognized by the Board in its instruction Dy. No.294/Com(ST)/2007 dated 03.09.2007. A person Non payment or delayed payment of Gst – A mandatory penalty, not less than Rs. 200 per day or @2% of such tax per month, whichever is higher, shall be imposed by the adjudicating authority. However, the penalty amount payable shall not exceed the amount of Gst payable. A person, who fails to keep, maintain or retain books of account and other documents as required in accordance with Gst law, shall be liable to pay penalty which may extend to Rs. 5,000/-. A person, who fails to furnish information, produced documents, when called by an officer or fails to appear before the Central Excise Officer when issued summon, shall be liable to a penalty which may extend to Rs. 5000/- or Rs. 200/- per day after the due date, which ever is higher. A person, who fails to pay tax electronically, through internet banking, shall be liable to pay penalty which may extend to Rs. 5,000/-. A person, who issues invoice incorrect or with incomplete details for fails to account for an invoice in his books of account, shall be liable to pay penalty which may extend to Rs. 5,000/-. Suppression of the value of taxable services: Penalty to an extent ranging from 100% to 200% of the Gst which was not levied or paid or erroneously refunded, can be imposed on any person, if such short levy or short payment or erroneous refund is by reason of fraud collusion, willful mis-statement, suppression of facts; or contravention of the Act or the rules made thereunder with an intent to evade payment of Gst. Such liability towards penalty would be in addition to the Gst amount evaded or erroneously refunded and the interest thereon . Is there any provision to waive the penalty under Gst law? Why show cause notices are issued by the Department? When any amount is demanded as Gst or other dues from any person under the Finance Act, 1994 and rules made thereunder and/or any person is liable to penalty under the said Act/Rules, notices are issued in the interest of natural justice to enable such person to understand the charges and defend his case before an adjudicating officer. Can show cause notice be waived? Where any Gst has not been levied or paid or has been short-levied or short paid or erroneously refunded, the person chargeable with the Gst, or the person to whom such tax refund has erroneously been made, may pay the amount of such Gst on the basis of his own ascertainment thereof, or on the basis of tax ascertained by a Central Excise Officer before service of notice on him and inform the Central Excise Officer of such payment in writing. In such a case show cause notice will not be issued. Adjudication and determination of tax? When show cause notices are issued under provisions of the Finance Act, 1994 charging any person for contravention of any provisions of the said Act and rules and/or notifications issued thereunder and penal action is proposed the competent officers of the Department adjudge the case and issue orders. This process is called adjudication. Often notices are issued under section 73 of the Finance Act, 1994 for determination of tax, and the matter is decided by a competent officer. This is also referred to adjudication in common parlance. Is the presence of a Chartered Accountant necessary for adjudication? No. The Noticees can defend their case themselves. They may engage a lawyer , duly authorised to defend their case before an adjudicating officer. Who should be approached when an assessee is aggrieved by an order/decision of the Adjudicating authority subordinate to the Commissioner of Central Excise in respect of Gst? What is the procedure for filing the Appeal? An assessee aggrieved by such order/decision may file an Appeal to the Commissioner (Appeals) in Form ST-4, in duplicate. A copy of the order/decision appealed against should be enclosed. The Appeal should be filed within 3 months from the date of receipt of the order/decision. There is no fee for filing an Appeal before the Commissioner of Central Excise (Appeals) (Section 85 of the Act and Rule 8 of the STR, 1994). Can the time limit of three months for filing the appeal to the Commissioner (Appeals) be extended? If yes, under what circumstances? Yes. If the Commissioner (Appeals) is satisfied that the appellant was prevented by sufficient cause from presenting the Appeal within the statutory period of three months, he may allow the Appeal to be presented within a further period of three months. The law does not provide for further extension of time . Can an Appeal be filed against the order/decision of the Commissioner of Central Excise or Commissioner (Appeals)? If so, what is the procedure for that? The Appeal against the order of the Commissioner of Central Excise or Commissioner (Appeals) can be filed before the Customs, Excise and Gst Appellate Tribunal (In short, CESTAT). The Appeal should be filed within three months of the date of receipt of the order sought to be appealed against. It should be filed in the prescribed Form (ST-5) in quadruplicate. It should be accompanied by a certified copy of the order appealed against. The Appeal should be accompanied by the prescribed fee based on the amount of Gst and interest demanded and penalty levied. Rs. 1000/- if the amount involved is Rs. 5 lakhs or less, Rs. 5000/- if the amount involved is more than Rs. 5 lakhs but not exceeding Rs. 50 lakhs and Rs. 10,000/- if the amount involved is more than Rs. 50 lakhs. (Section 86 of the Act and Rule 9 of the STR, 1994). What is CENVAT Credit Scheme with reference to Gst assessees? The CENVAT credit Rules, 2004 which was introduced with effect from 10.9.2004 provides for availment of the credit of the Gst/Central Excise duties paid on the input services/inputs/ capital goods. Such credit amount can be utilized towards payment of Gst by an assessee on their output services. In fact, such credit availed by a manufacturer can also be utilised for discharging their liability towards Gst and/or Central Excise duties. What are the duties/taxes that can be availed as credit? Duties paid on the inputs, capital goods and the Gst paid on the 'input' services can be taken as credit. Education Cess paid on the Excise duty and Gst can also be taken as credit. However, the credit of Education Cess availed can be utilized only for payment of Education cess relating to output service. The interest and penalty amounts cannot be taken as credit. What is meant by 'input', 'input service' and 'capital goods' for a service provider? These terms have been defined in the CENVAT Credit Rules, 2004. Is it compulsory that the inputs/capital goods are to be purchased only from the manufacturers for the purpose of availment of credit? registration? No. The inputs/capital goods can be procured from the First stage and Second stage dealers also. Those dealers should have registered themselves with the Central Excise Department. The invoices issued by them should contain proper details about the payment of duty on those goods.No. The inputs/capital goods can be procured from the First stage and Second stage dealers also. Those dealers should have registered themselves with the Central Excise Department. The invoices issued by them should contain proper details about the payment of duty on those goods. What are the documents prescribed for availment of the CENVAT Credit? Invoice/Bill/Challan issued by the Input Service distributor. Certificate issued by the Appraiser of Customs in respect of the goods imported through Foreign Post Office. A Challan evidencing payment of Gst by a person liable to pay Gst in the service category of auxiliary insurance, goods transport, recipient of service from a foreign country and sponsorship [Refer sub-clauses (iii), (iv), (v) and (vii) of rule 2(1)(d) of STR, 1994]. Whether it is necessary to avail credit only after making payment against the bill/invoice/challan in respect of input services? Credit of Gst on the input services can be availed, only after making payment of the amount indicated in the invoice/bill/challans. This is necessary because, the input service provider will be paying the Gst to the Govt. only after he realizes the payment, as the payment of Gst is only upon realization. The above requirement is not applicable in respect of credit of duties paid on inputs and capital goods. Who is an “Input Service Distributor”? An office of the manufacturer or provider of output service who receives invoices for the procurement of input services and issues invoices for the purpose of distributing the credit of Gst paid to such manufacturer or provider of output service is an “Input Service Distributor”. The credit of the tax amount so distributed to various places shall not exceed the total Gst amount contained in the original invoice/bill. What is the format of the invoice/bill/challan to be issued by the input service distributor? Name and address of the input service distributor. The name and address of the recipient to whom the Gst credit is distributed. The amount of credit being distributed. Whether the input service distributors should get themselves registered with the Department? Whether they have to file any returns with the Department? Yes. They have to register themselves as per the provisions made under Gst (Registration of Special Category of Persons) Rules, 2005. They have to file half yearly returns by the end of the month following the half year. What are the records to be maintained by the persons availing credit? There is no specific format of records to be maintained. However, they have to maintain adequate records showing the details such as receipt, disposal, consumption and inventory of inputs and capital goods, the amount of credit taken and utilized etc. What should be done, if an assessee is rendering both taxable services as well as exempted services, but the inputs and input services are common? Separate accounts are to be maintained for the receipt, consumption and inventory of input and input service meant for providing taxable output service and for use in the exempted services. Credit should be taken only on that quantity of input/input services which are used for the service on which Gst is payable. If separate accounts are not maintained, the provider of output service shall utilize credit only to extent of an amount not exceeding 20% of the amount of Gst payable on taxable output service. For example, if Gst liability for a specific period is Rs. 1000/- and there is a credit of Rs. 500/- available with them, the credit can be utilized only to the extent of Rs. 200/- and the balanceService Tax liability (i.e. Rs.1000-200=800/-) has to be paid in cash/cheque. The remaining credit can be carried forward and used for the subsequent period in a similar manner. However, an option is available to general insurance service providers providing taxable as well as exempted insurance schemes and do not maintain separate input/input services credit accounts to utilise CENVAT credit proportionate to the inputs and input services used in providing taxable services. The scheme is optional and is effective from 1st April, 2007. Refer Rule 6(3) of CENVAT Credit Rules, 2004 for further details. What is the statutory provision regarding taxing of services provided from outside India and received in India? Section 66A of the Finance Act, 1994, inserted with effect from 18.4.2006, provides that where any taxable service is provided or to be provided by a person who has established a business or has a fixed establishment from which the service is provided or to be provided or has his permanent address or usual place of residence, in a country other than India, and is received by a person who has his place of business, fixed establishment, permanent address or usual place of residence, in India, such service shall be taxable service. Is the recipient of service liable to pay tax for the services rendered from abroad? The recipient of service shall be liable to pay tax if the provider of service do not have any established business or a fixed establishment in India. However, a person carrying on a business through a branch or agency in any country shall be treated as having a business establishment in that country (including India). Where provider of the service has his business establishments in more than one country, which country should be treated as the country from which service is provided? If the provider of the service (from outside India) has his business establishments in more than one country, the country, where the establishment of the provider of service directly concerned with the provision of service is located, shall be treated as the country from which the service is provided or to be provided. What will be 'usual place of residence' of a body corporate? Usual place of residence, in relation to a body corporate, means the place where it is incorporated or otherwise legally constituted. What constitutes import of services? Thus, each transaction has to be seen individually to ascertain if it constitutes import of services, fulfilling the requisite parameters. Are individuals receiving service from outside India also liable to pay tax? If the recipient of the service is an individual and such service received by him is otherwise than for the purpose of use in any business or commerce, Gst will not be payable by him. If the services received are for the purpose of use in any business or commerce, then Gst will be leviable. What is meant by advance ruling? Advance ruling means the determination, by the Authority, of a question of law or fact specified in the application regarding the liability to pay duty/Gst in relation to an activity which is proposed to be undertaken, by the applicant. Activity means service to be provided. What is the scheme of advance rulings? Authority for Advance Rulings for Excise and Customs is meant to provide binding ruling on important issues so that intending investors will have a clear-cut indication of their duty/tax liability in advance. Since advance rulings are not appealable under the Finance Act, 1994, it assures the applicant of the finality of the tax liability and hence freedom from spending time, energy and money in legal battles which mostly become long-drawn. A resident falling within any such class or category of persons, as the Central Government may, by notification in the official Gazette, specify in this behalf, and which or who, as the case may be, makes application for advance ruling under sub-section (1) of section 28H. On which questions can an advance ruling be sought? Applicability of notifications issued under said Act.